Today marks the two month anniversary of my quest for Lion Knights’ castle. While my main concern has been (and still is) to build the 6080 King’s Castle, my AFOL initiation has taken me to various interesting sidetracks. As an example, over the past two months I have discovered and covered a few topics related to building LEGO MOCs (my own creations), including essential links, Pick a Brick store, LEGO Ideas Book and CUUSOO. This introduction to 21st century bricklaying wouldn’t be complete without mentioning computer aided design (CAD) software for LEGO. 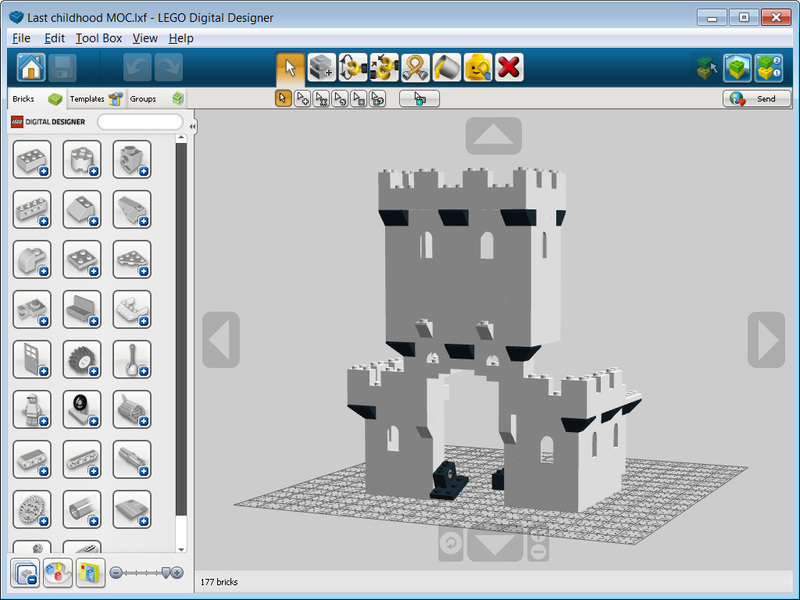 LEGO Digital Designer (LDD), originally a part of LEGO Group’s custom-order Design byME service, is now just a free standalone application for Windows and Mac. 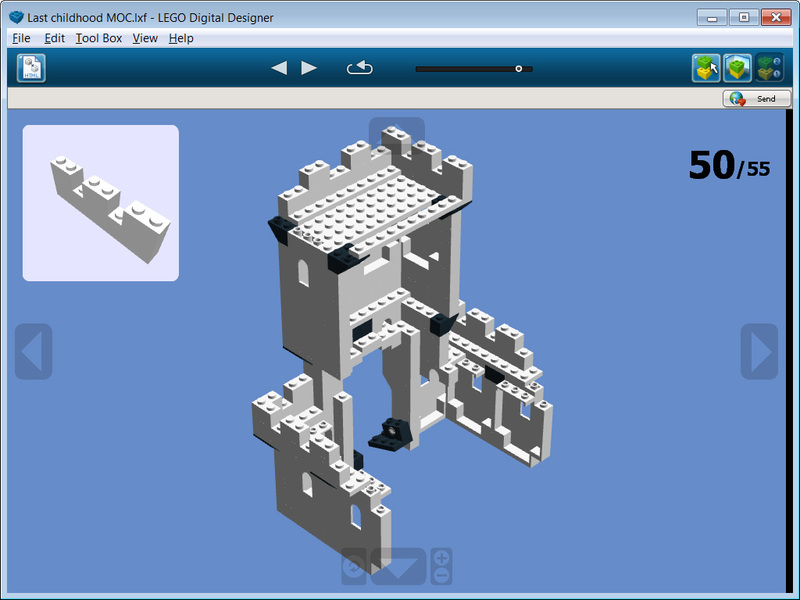 What LDD does is allow you to design your own LEGO models on a computer and then print out building instructions and parts lists for those custom models and/or upload them to an online gallery. Originally you could also order the entire set, with a box and all, from the LEGO Design byME service, but after a six-year run the service was discontinued in January 2012 citing service quality issues. There was some talk of a replacement service, but so far nothing has materialized. Once downloaded and installed, which is a very straightforward affair, LEGO Digital Designer asks you to choose one of a few different modes (basically do you want to build regular LEGO or Mindstorms, I went with the former) and then a virtual baseplate appears. On the left of the application window is the brick palette, manipulation tools are on the top and the rest of the window is the building area. Now, LDD obviously does not include all possible bricks, but the selection is quite extensive. I was even able to locate the classic castle wall shape, although only without the stone textures. 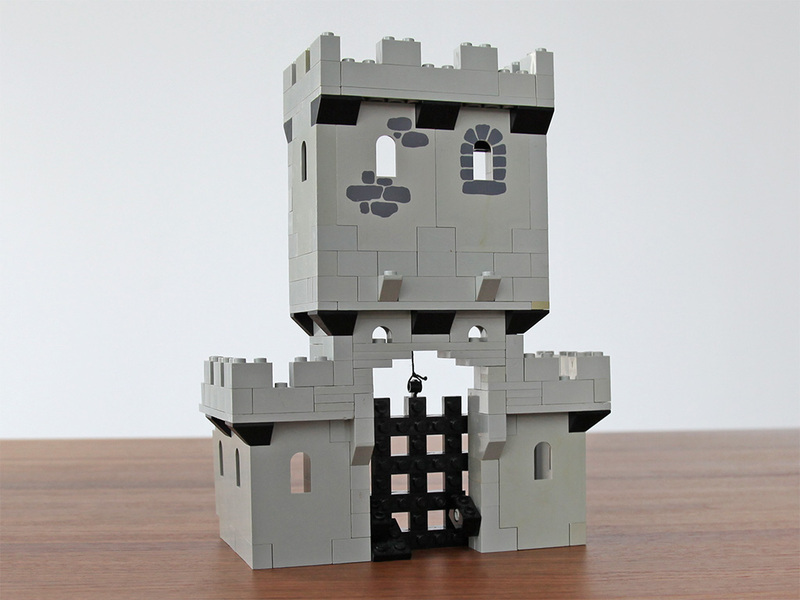 LDD is very intuitive, I just got clicking away and it took me only around an hour from installation to digitally recreate most of my childhood gatehouse MOC. Bricks can be stacked in any order, from up to down if you wish, they can be selected and moved in groups, studded bricks can be inserted into holes without dismantling first, even hinges can be rotated on screen. Then just a click or two and the program came up with 55 step building instructions for my model, which could be printed or exported as HTML. That is the official version. But rest assured, AFOLs have gone even further. The LDraw application, parts library and compatible applications are an unofficial alternative to the LDD. They are also available for Linux in addition to Windows and Mac – and of course supporting a wider range of classic LEGO bricks than the official application. LDraw.org maintains a list of LDraw compatible viewers and editors. Great stuff. Any recommendations, what is your favorite LEGO CAD designer?